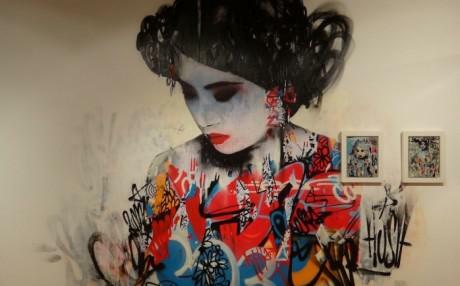 Hush has a new show, which opened last week at the Metro Gallery in Melbourne. 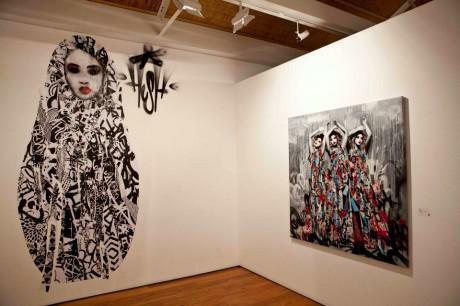 Entitled ‘Sirens’, the show consists of 13 large pieces, 24 smaller, more experimental as well as wall murals and some hand finished touches to some of the pieces. 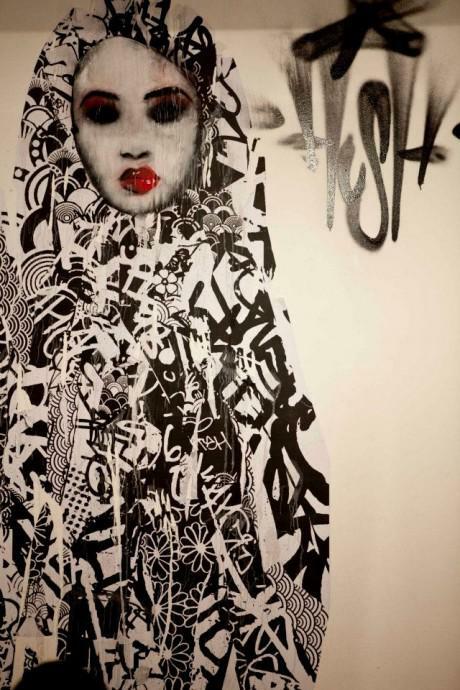 In the making for the past 6 months, Hush has used that time to build up layers and mixtures of textures, urban elements and throw ups which sit alongside the multitude of depictions of the female form. 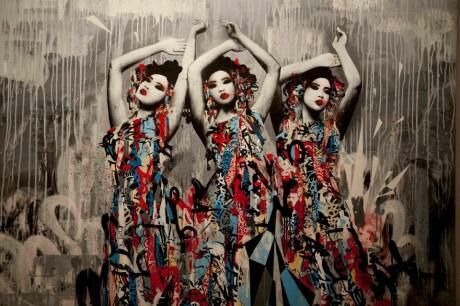 One particular favorite is the piece above. Photos by Land of Sunshine and the gallery. Thanks to Arrested Motion for the heads up. The exhibition runs through till 19th June.